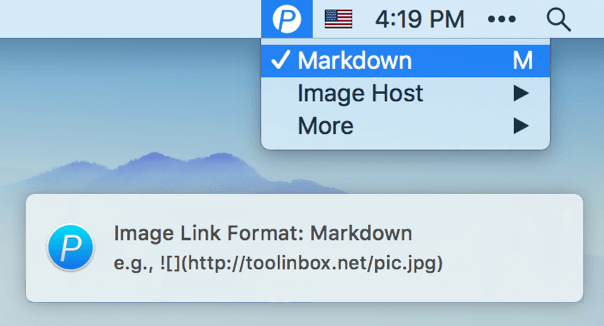 iPic could automatically upload images & files, and then save Markdown links on macOS. It’s so free to insert images anywhere. iPic supports multiple ways to upload. Let’s look through all these ways and check which one is preferred in different cases. Drag & Drop is an interesting way to upload images. Just drag images to iPic’s icon in menu bar. The images will be automatically uploaded when dropped. You may find that iPic will show progress in menu bar during upload, which is clean and useful. Using this way, you can also upload many images at a time. The uploaded images will keep the same order with your selection. It’s very effective way to upload images using Services in Finder. Just right click the image and choose Upload by iPic in Services, the image will be automatically uploaded. Beside using context menu, it’s more effective to use shortcut. Just select the image file and press shortcut of Command + U to upload it. 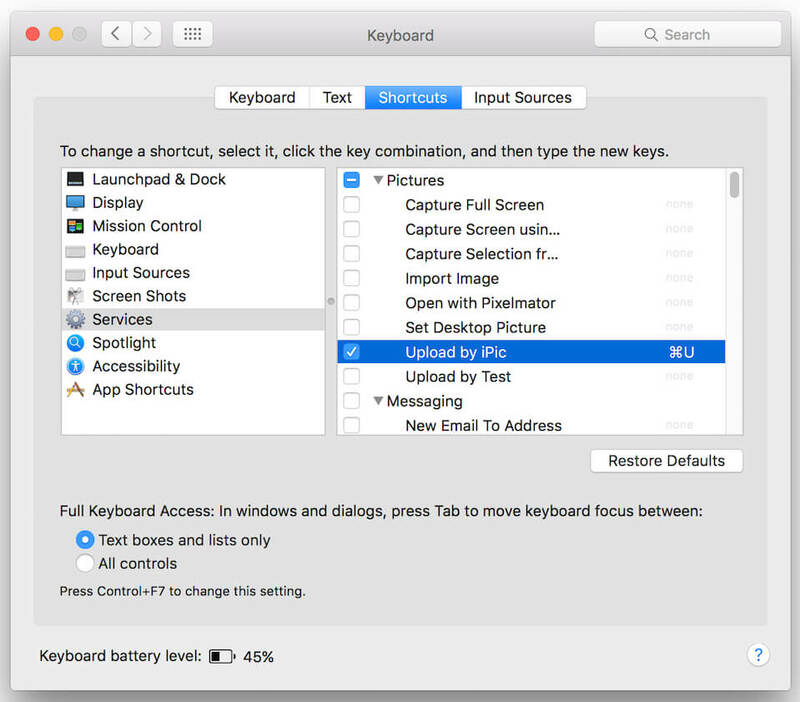 If you don’t like the default shortcut of Command + U, you can modify it in System Preferences > Keyboard > Shortcuts > Services. By the way, if you installed many apps on your Mac and there’re many Services which you don’t need, you can also close them here. Upload many images at a time. Even iPic wasn’t running, Mac will launch it and upload images. 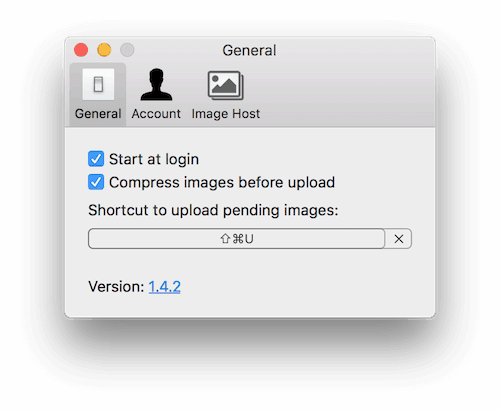 Note: due to the refresh mechanism of macOS, the upload service may not appear immediately after install iPic. Just wait several minutes or even hours, it will normally appear. Or you can run the following command in Terminal to manually refresh. iPic will monitor the changes of system pasteboard. If an image was copied, it will appear in the Pending menu of iPic. If you need to upload the image, just click the menu item of it. This way is suitable to upload a few images. You can also use shortcut Command + Shift + U to quickly upload the copied images. Of course, you can modify this shortcut in Preferences. iPic supports the popular image formats such as jpg, png, gif, etc. Use lossy compression algorithms. The image’s size will be significantly reduced, yet still looks like the original one. Use the compressed images could greatly reduce the storage and traffic. After upload images, iPic will remind you via system notification. 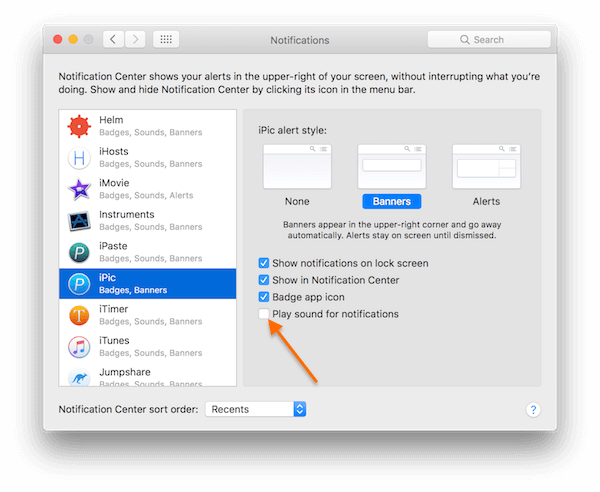 If you don’t like the sound of notification, could go to System Preferences > Notifications, select iPic in the list, and uncheck the Play sound for notifications. 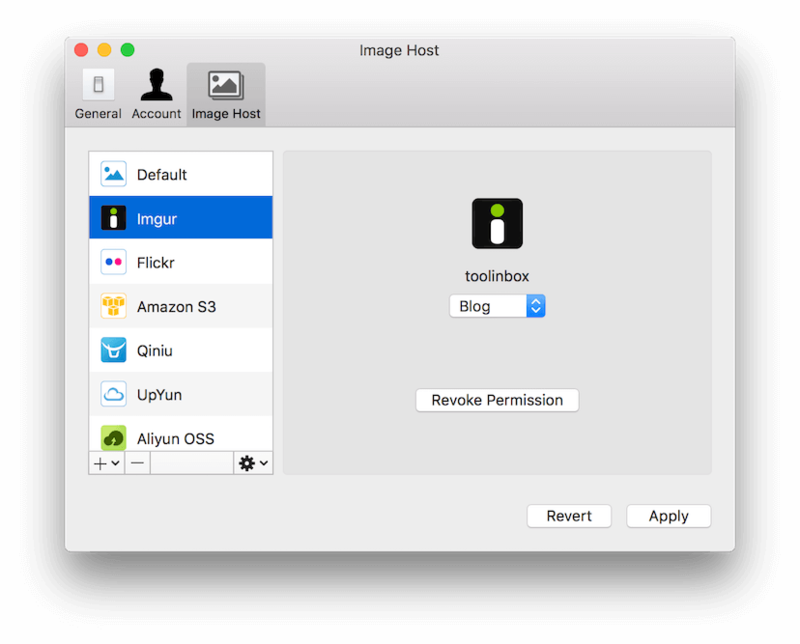 Image hosts are the cloud services where to save your images. You can add your own image hosts in Preferences of iPic. After image hosts were added, you can choose which one to use in iPic’s menu. 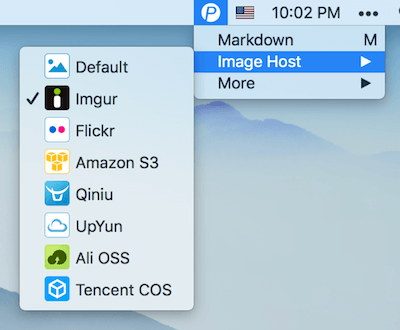 Now iPic supports these image hosts: Default, Imgur, Flickr, Amazon S3, Qiniu, UpYun, Aliyun OSS, Tencent COS.
iPic support normal http link and Markdown link for the uploaded images. You can switch them in iPic’s Markdown menu. iPic could keep the last 15 uploaded images. The newest 3 ones appear on the top level of the menu, and the others appear in More Uploaded Images. When you click on the uploaded image, the link of the image will be copied to pasteboard. By the way, you can clear the upload history in More menu. 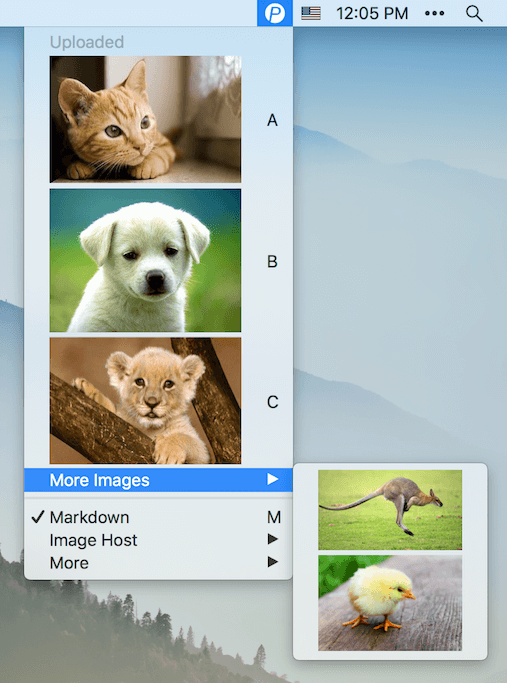 iPic Mover could move images in Markdown to image host with one click. It’s so easy to upload images in bulk or change image host. All features are free with default image host. 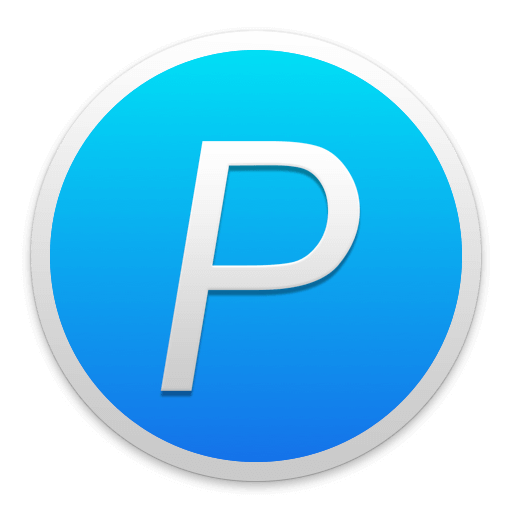 To use other image hosts, need to subscribe iPic Pro. If you think iPic is helpful, welcome to rate iPic on Mac App Store and leave a small review. You want to share iPic to your friends? Cool! If you met problem or want iPic to be improved follow your ways, please feel free to contact me.